And since she is still too young for that, we'll just have to start her off with the Play-Doh Frosting Fun Bakery instead. She couldn't wait to start! Then she decided she rather have a donut instead so we made one out of one of the moulds in the base of the play-set. 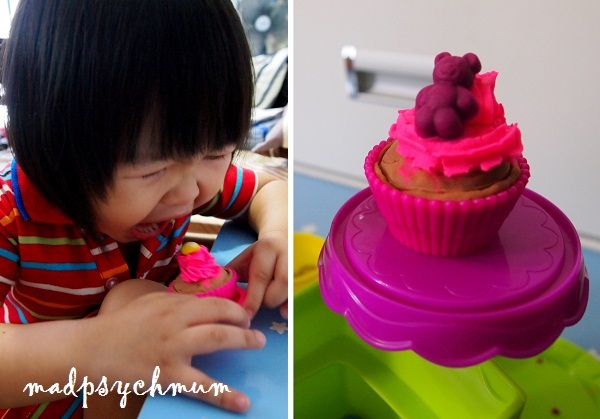 The instructions said that the new Play-Doh Plus was softer so it was perfect for making the frosting while regular Play-Doh should be used for the making the food in the bakery. Later she made a cupcake which looked so delicious that she wanted to eat it! She was so proud of her masterpiece, she ran excitedly to show it off to her grandma! 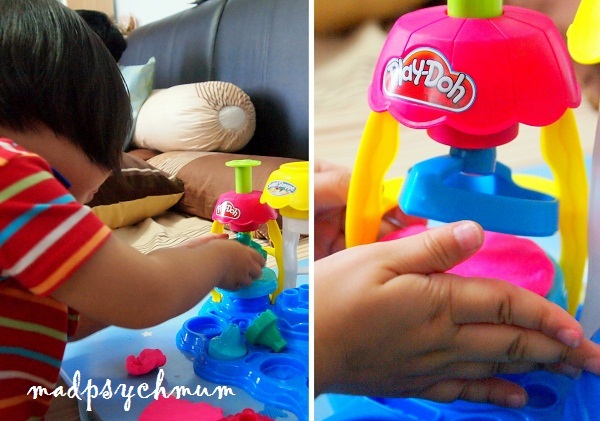 If you liked this toy as much as my girl did, great news! 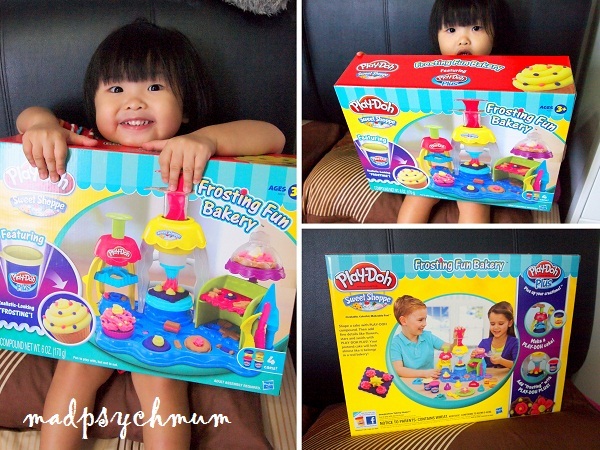 We are giving away ONE Play-Doh Frosting Fun Bakery to a lucky reader! 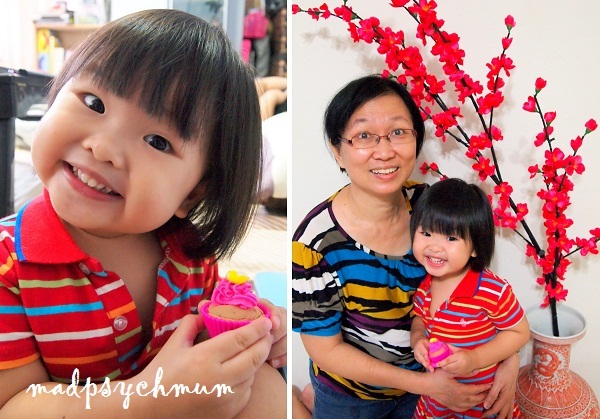 Disclosure: A complimentary box of Play-Doh Plus was received from Hasbro Singapore for the purposes of this review and giveaway. No monetary compensation was received; all opinions are my own.